The decision of the German government to end the war in the Donbas first, and then to solve the problem of Crimea is logical, but probably not the right one. 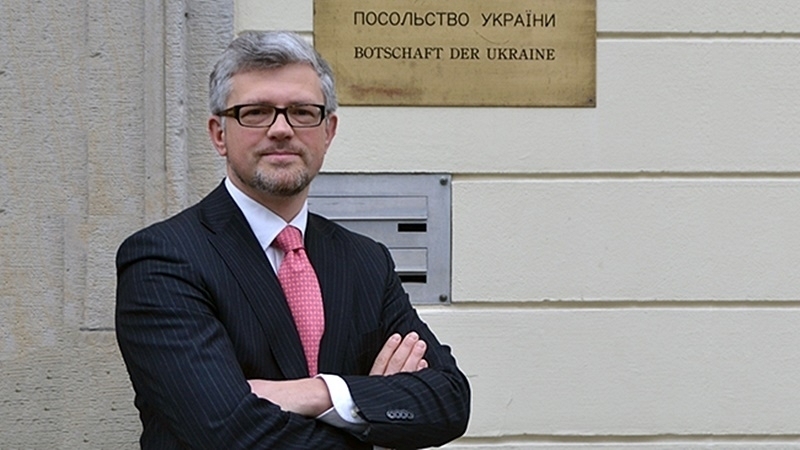 The Ambassador of Ukraine in Germany Andrij Melnyk made a corresponding statement, as cited by the press service of the embassy. “These issues [Donbas and Crimea - Ed.] cannot be divided, but, unfortunately, the German course is the following: First to finish the war, and then switch to the Crimea. This is logical, but incorrect, so this tactic can be called unsuccessful. After four years of diplomacy, the war is still going on and so-far no prerequisites for its end can be observed. More than a million people within a radius of 409 kilometers around the line of demarcation are daily victims of artillery shelling. The Crimea cannot be separated from the war in the East, because the preconditions are similar, and the key to the solution is in Moscow," he said. According to Andrij Melnyk, a corresponding negotiating format on the Crimea issue does not even exist. “However, we seek to create such a format. After all, there is a special representative of the United Nations for Northern Cyprus, and negotiations are underway to unite the island. I hope that the new Federal Government will resort to new emphases," the Ambassador said. Earlier, on Saturday, February 3, a delegation consisting of three MPs from the right-populist party Alternative for Germany arrived in the occupied Ukrainian Crimea. The Ukrainian ambassador to Germany, Andrij Melnyk, said that the visit of the German deputies to the occupied Crimea will entail "very deplorable legal consequences." MPs themselves assert that they "are not bothered by Kyiv's threats to ban them from entering Ukraine, they expect to visit the Crimea more than once". Deputies from Germany declared themselves "friends of Crimea"